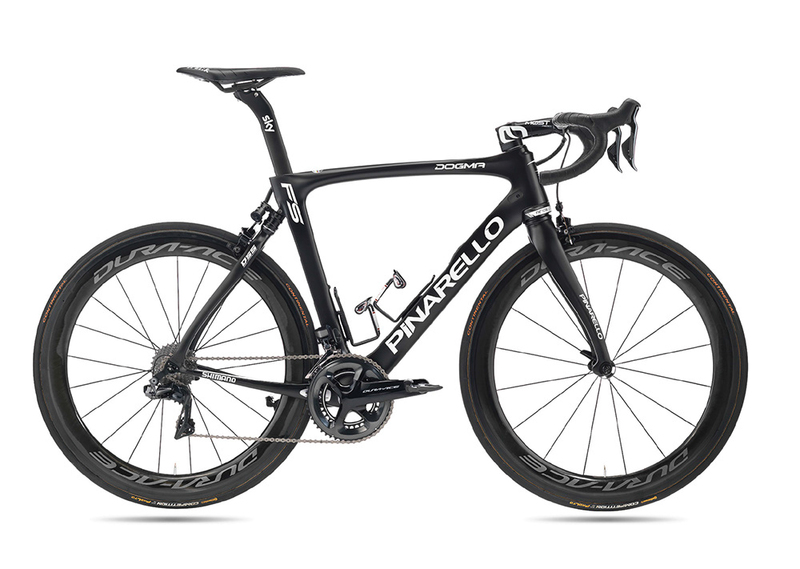 Just in time for Paris-Roubaix, Pinarello has released the Dogma FS, the first electronically controlled full suspension road bike. Four years ago, Pinarello introduced the Dogma K8s, with a seatstay suspension system (a shock with vertcally compliant chainstays, followed two years later by an electronic version. 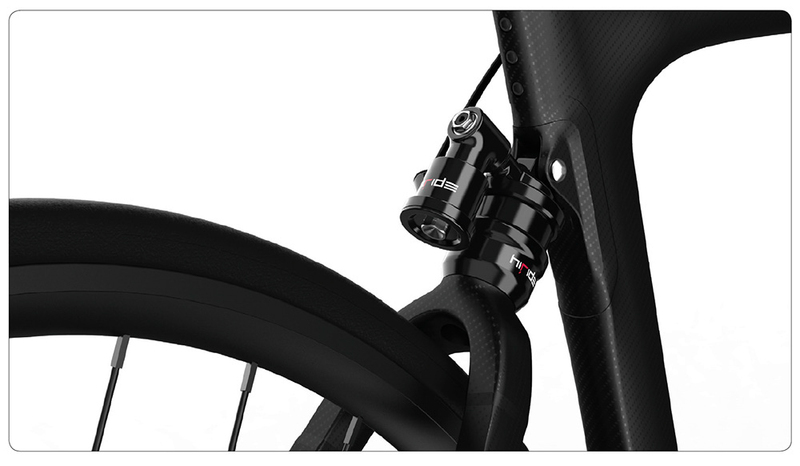 For 2019, Pinarello has taken the next logical step, with the introduction of electronic front suspension. The Dogma Smart Adaptive System (DSAS) is self-adaptive, automatically locking and unlocking the suspension, depending on road conditions. 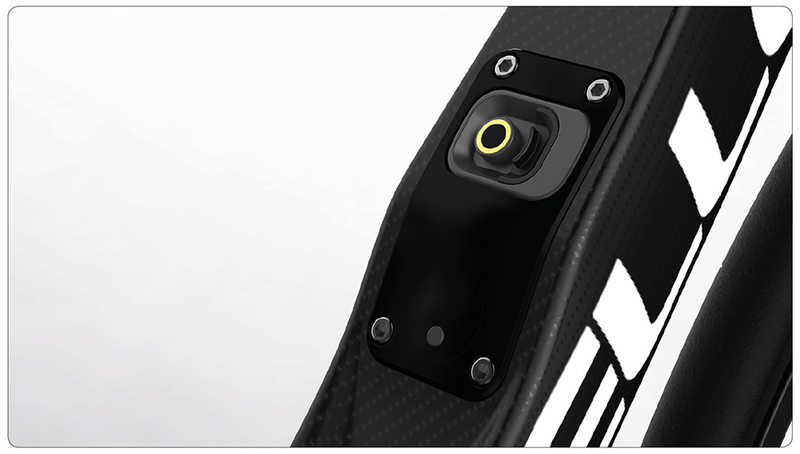 The rear chainstays have 10mm of vertical compliance to work with the seatstay mounted elastomer shock, while the front spring/hydraulic system can move 20mm. The smart battery pack uses accelerometers and gyroscopes to monitor road conditions and lock/unlock the suspension. Riders can adjust the system to either automatic or manual, as well as change the threshold for action. 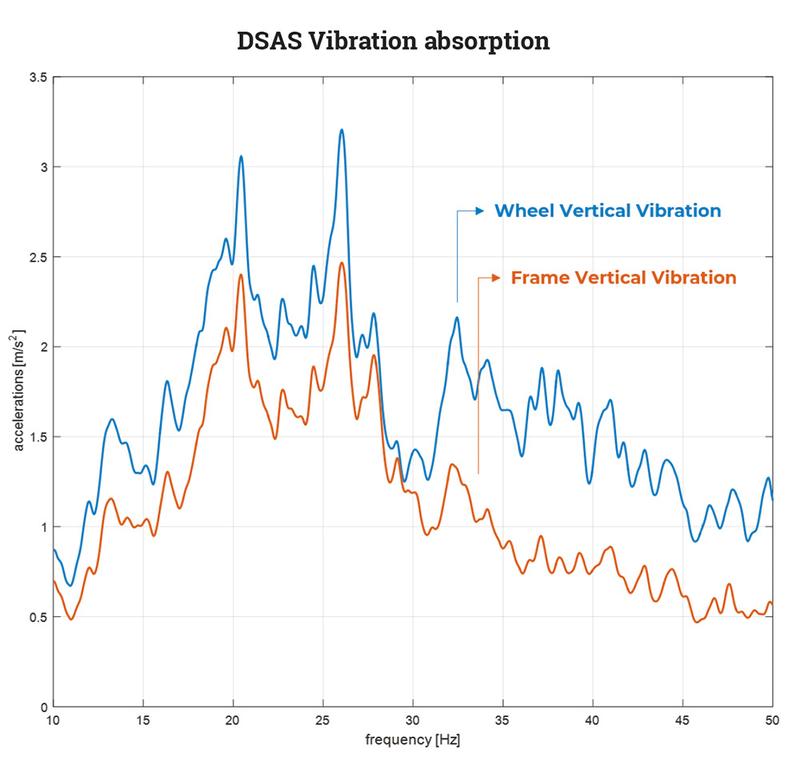 Pinarello claims that DSAS can absorb, on average, 42% of vibration from the road. They have also designed the Dogma FS with a more relaxed headtube angle and longer chainstays, for better handling on rougher roads. 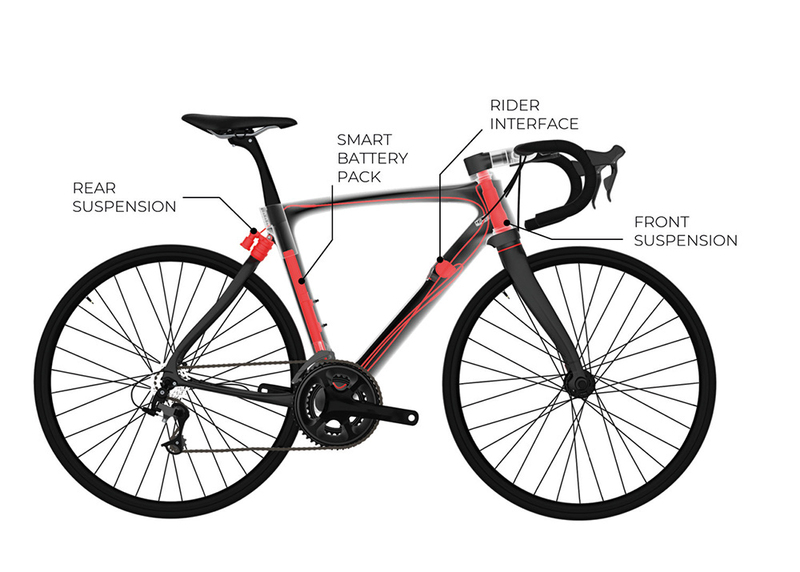 The bike is designed to handle up to 28mm width tires. Available in sizes 53cm, 55cm, 56cm and 57.5cm. Canadian pricing is not yet available, but this will be a special order only model.